Looking for that little bit of extra power? We can offer a range of different options for all types of vehicles. We offer exhaust systems, power chips, aftermarket turbo options, intercooler upgrades, catch cans and egr restrictions. 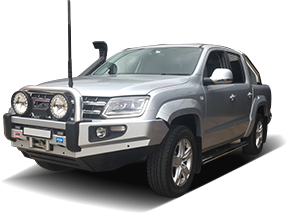 Whether you’re a frequent tourer or just an occasional off-roader, Australia’s remote areas and ever-changing conditions can be brutal on factory vehicles. Suspension is one the most important aftermarket additions we believe you can make to your 4WD, not only does it allow for additional accessories and load carrying, it also gives you greater ground clearance and allows for a greater tyre selection. We offer a range of towing solutions from ARB rear step bars to the complete Hayman and Reese light and heavy duty range. We can also help you with a vast array of towing hitches and accessories to suit your needs. When you find yourself facing an unforeseen circumstance, an electric winch really comes into its own. With the ability to pull your vehicle from a bog or to render assistance a winch is the pinnacle of vehicle recovery. Are you searching for a 4×4 parts and repair shop that stocks the best Diff Locks on the market? Passionate about delivering reliable and durable parts to our customers T&G 4×4 proudly supplies Harrop Eaton ELockers to our customers. With the ever growing electrical accessories range and the demand of these accessories in today’s market a quality dual battery system is a must. Whether it’s a second power source for a fridge, camping needs, a winch, or additional lighting we’ve got you covered. With the advancement in diesel injection technology and the intolerance of these systems of water and contaminants an auxiliary fuel filter can be the difference between costly engine damage or your once a year trip going terribly wrong. Are you wanting to get the most out of your vehicle’s performance? Do you want more power to course through your car’s engine, allowing it to have a higher level of output necessary for arduous travel in off-road conditions?